Although much has been written about it, decennial liability continues to surprise and confound architects, engineers and contractors from other parts of the world who are coming to the Middle East to do business. Although much has been written about it, decennial liability continues to surprise and confound architects, engineers and contractors from other parts of the world who are coming to the Middle East to do business. Often they simply do not realize that in the Middle East, their customary risk management tools are not sufficient and they are in fact exposed to potentially catastrophic liability. Decennial Liability is not covered by most Professional Liability Insurance Policies and cannot be Limited or Waived by Contract. Architects and engineers are accustomed to the risk of being held liable for professional negligence and all carry professional liability insurance for that eventuality. What many don’t realize however, is that professional liability policies written in the U.S., Australia and Europe are generally triggered by negligence and would not respond in a case of strict liability, where no negligence is required. ontractors are also accustomed to being held responsible for their negligence or breach of contract, but rather than professional liability insurance, which does not cover workmanship and is not available to contractors, contractors tend to rely on limited warranties and other contractual limitations of liability to protect themselves. Unfortunately, decennial liability is a mandatory provision of the civil code in most Middle Eastern countries and cannot be limited or waived by agreement of the parties. The Potential Liability is Enormous. the liability period commences at handover and is for a period of ten (10) years, or the intended life of the building, if less. liability attaches notwithstanding that the collapse or defect resulted from a defect in the land or that the building owner approved the defective building. liability is joint and several, meaning that the building owner can proceed against either party for the full amount of the claim. any contractual provision purporting to waive or limit decennial liability is void. all have a claim limitation period of either three (3) years or one (1) year. Architects and Engineers who intend to be doing business in the Middle East for the long term would be wise to consider obtaining their professional liability policies in the U.K., which has a “legal or civil liability” trigger as opposed to a “negligence” trigger. These policies will provide protection against the imposition of decennial liability, so long as they are kept in force for ten (10) years after completion of the work, which is the duration of the liability period. Another possible alternative with respect to design professionals is Owner’s Protective Professional Indemnity Insurance (“OPPI”), which protects the owner in the event that the underlying professional liability policy is deficient in coverage. Of course, the policy wording would have to be carefully reviewed to ensure that the policy would respond in the event of strict liability that is not covered by the underlying design professional’s policy. Unfortunately, contractors face a more difficult situation. The French market offers decennial insurance on a project specific basis, but it is very expensive and very invasive. The insurer provides a certificate of intent to issue the policy when the project is completed and becomes heavily involved in process, monitoring the design and construction. The combination of prohibitive cost and interference with the work means this is not a practical alternative for most contractors, who instead find themselves having to rely on their balance sheets. 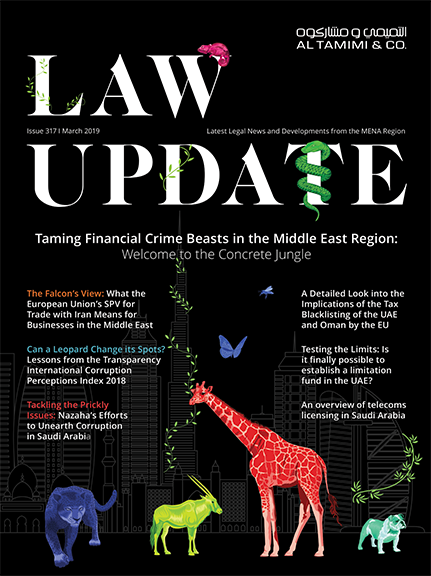 Thanks to Michael Earp, Executive Director and Sr. VP, Aon Risk Solutions in London, and Kamal Hafez, Associate Lawyer, Al Tamimi – Qatar, for their assistance with this article.